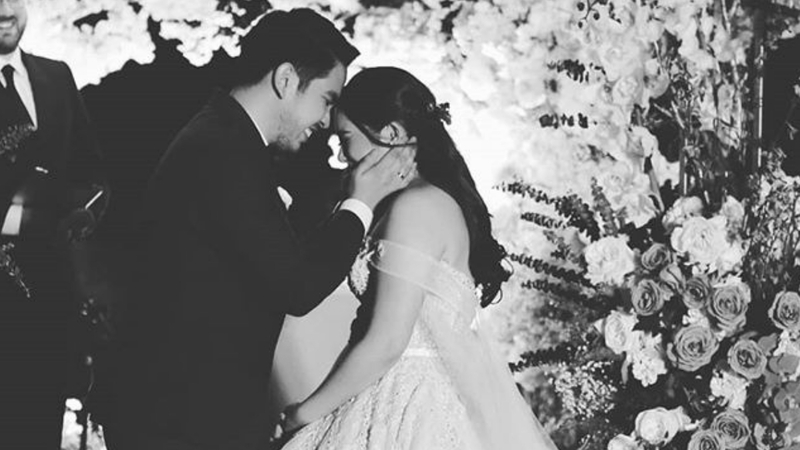 After two years of being together, Moira dela Torre and Jason Marvin Hernandez finally kissed for the first time at their wedding ceremony yesterday. Photographer Pat Dy shared photos of the special moment on Instagram. Hear the crowd go wild when they finally lock lips in this video posted by management and production company Cornerstone Entertainment. So cute how Jason went in for another smooch and then put his arms behind him to restrain himself! In an earlier interview, the couple revealed that they waited all these years because Jason promised Moira’s dad that they would only have their first kiss on their wedding day.